Julie Tupler is a Registered Nurse, Certified Childbirth Educator and Certified Personal Trainer. 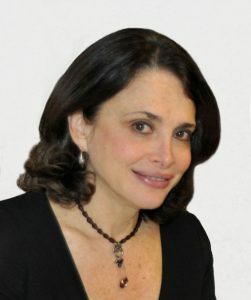 She developed the Maternal Fitness® Program in 1990 and for over 25 years has been teaching and developing the Tupler Technique® Program for treatment of diastasis recti for women, men and children and also preparing clients for abdominal surgery and pregnant women for labor. Dr. Oz calls her an expert on treating diastasis recti. New York Magazine calls her the guru for pregnant women. She has been featured on many national television programs such as the Today Show, Regis & Kelly as well as in many fitness, medical, and women’s health magazines. The Tupler Technique® is the only research and evidence based program to treat a diastasis recti. Julie is now teaching the Tupler Technique® Program to medical and fitness professionals all over the world and you can see them listed on her website. She has written two bestselling books– Maternal Fitness (Simon& Schuster) and Lose Your Mummy Tummy (DaCapo), and is coming out with her third book “Together Tummy” late April. She has produced five DVDs and invented the Diastasis Rehab Splint® and Diastometer™ for measuring diastasis. Julie has also developed a six week online support program for her clients. She is on the advisory board of Fit Pregnancy, Women’s Health Foundation and the Women’s Sports Foundation. She is a frequent speaker at medical and fitness conferences including the American Hernia Society where in 2011 and 2012 she presented abstracts about her program. Julie spoke on the non-surgical Tupler Technique® approach to Diastasis Recti at the first World Conference on Abdominal Wall Hernia Surgery, in Milan, Italy Center April, 2015. Learn more at her website, diastasisrehab.com.